Newer: » Abuse of any kind against Children is not permitted! 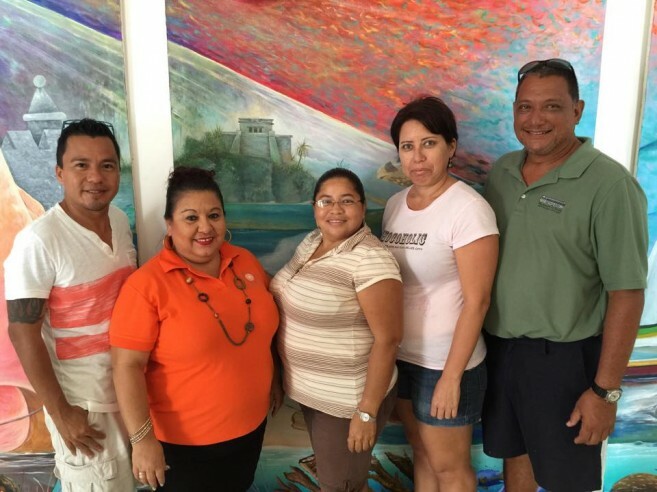 Press Release – San Pedro House of Culture – April 9, 2015 – The San Pedro House of Culture (SPHOC) is pleased to introduce its new committee for the year 2015-2016. Opened on November 19, 2014 under the able management and direction of Mr. Guillermo “Mito” Paz, this cultural institution has already made an impact in San Pedro with its many events held in its short time of existence. The committee has met and started preparation for the many upcoming events with the hopes of promoting all types of local culture (music, culinary art, visual art and the importance of reviving local traditions that have been slowly dying). The SPHOC is part of an umbrella organization, National Institute of Culture and History (NICH) and as such is guided and follows its mission of being Belize’s premier cultural institution dedicated and creating an environment for the development, conservation, promotion, expression and accessibility of culture in all its diversity. SPHOC is a dynamic community center that is meant to inspire and uplift all through the various cultural areas. Already the townspeople and visitors have been delighted by the many events that have been carried out by the SPHOC which included a Garifuna Exhibition, Tribute to Bob Marley and Rastafarian Exhibition, Masquerade Ball, Carnaval Photo Exhibition, and most recently the premier of “The Golden Age” Photography Exhibition which is presently going on. The new committee consists of: Guillermo “Mito” Paz – Chairperson; Felix Ayuso – Vice Chairperson; Pamela Zetina – Treasurer; Lorna Vasquez – Secretary and Lucy Alejos – Director. Already plans for upcoming Exhibitions, Moon Light Concerts, Arts & Crafts programs, Religious Displays, and other Cultural Displays are on the drawing board for this group. The San Pedro House of Cultures is opened Monday to Friday from 8am to 5pm.